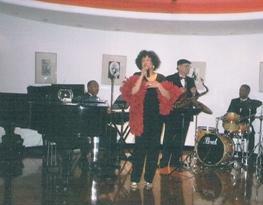 Scarlett is a chanteuse akin to the great jazz singers of the 1930s-1950s (e.g. Ella Fitzgerald, Sarah Vaughan, Nancy Wilson.) Her newest CD, "Lush Life" (Dec 2014) has 17 jazzy renditions of famous tunes from the Great American Songbook. Her first CD "Scarlett Fever" (Spring, 2004) has 14 tracks. 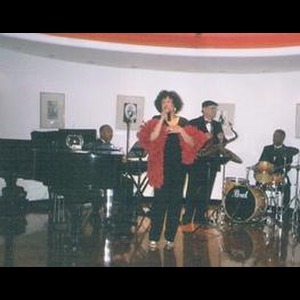 She is backed by Dr. Bob's Jazz Group (Tenor Sax/Clarinet, piano, bass, drums.) 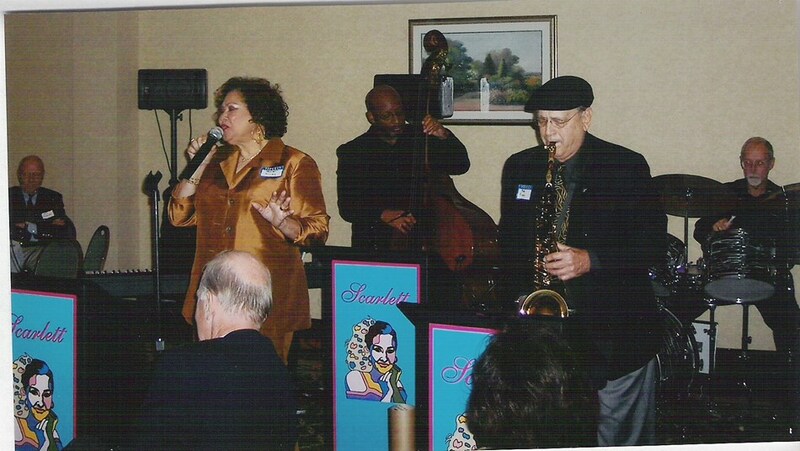 Dr. Bob's musical career dates back to the big bands and NY jazz clubs of the 1950s. He just completed "The Sax Doctor" (March, 2015) a CD of American jazz classics and standards that shows his virtuosity on tenor sax, clarinet, and vocals, including scatting. The pianist, bassist, and drummer are all top level experienced members of AFM Local 47 Hollywood. Their credentials include performing and touring with famous performers. They are musicians professionals who have settled in the Los Angeles area, preferring to continue their artistry near home instead of traveling worldwide. Please note Scarlett & Dr Bob Finney Jazz Group will also travel to Wilmington, Carson, San Pedro, Seal Beach, Harbor City, Lakewood, Los Alamitos, Surfside, Lomita, Sunset Beach, Torrance, Bellflower, Compton, Hawaiian Gardens, Huntington Beach, Artesia, Cerritos, Cypress, Garden Grove, Gardena, Paramount, La Palma, Lynwood, Palos Verdes Peninsula, Rancho Palos Verdes, Westminster, Willowbrook, Buena Park, Downey, Los Angeles.